When it comes to driver and car stats, most cars will only cover the basics such as speed, fuel, odometer and engine temperature and sometimes mileage. But what if you wanted more detailed and accurate information? ThinkGeek.com have the answer with this simple, small and relatively cheap ($119) gadget they call CarChip Pro. 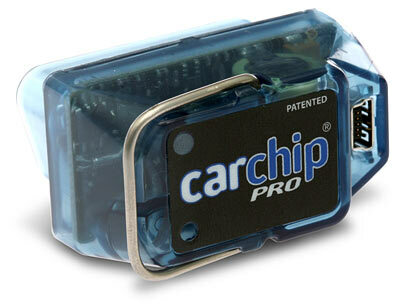 No tools or expertise are needed to install; you just have to plug Car Chip Pro into the OBDII port (easily found under the dashboard or steering wheel) and it reads and stores data from your car’s on-board computers, continuously logging driving and engine performance. Easy installation: plug it in under the dash, drive your vehicle, then download the data to your PC.